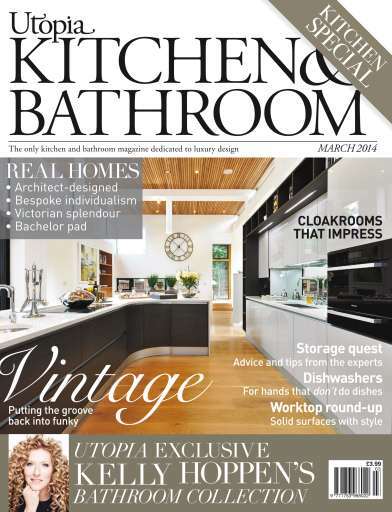 This issue is Utopia’s Kitchen Special packed full inspiration, advice and stunning real homes. 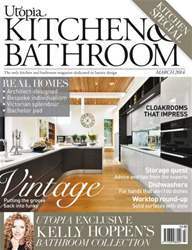 In Nature’s influence on page 26 a tree with a preservation order on it was the inspiration for the kitchen, whereas Victorian splendour on page 38 has an unusual triangular kitchen island. On the bathroom front Marble magic had us drooling – turn to page 34 to see if it has the same effect on you. Kelly Hoppen MBE, one of the hottest designers around and the latest investor in Dragons’ Den, stars not only on our cover but also in Designer collection – turn to page 104 for our exclusive preview..